Buried Alive, Magic Mt., Brian Head, 70s Ski Testing, Mystery Snowfields, Rope Tow Memories. There is prolific snow in New England these days, and despite the brisk cold, we went skiing last week in New Hampshire in the famous Ski 93 corridor. First stop was Bretton Woods on a frosty bluebird day with far-ranging views of Mt. Washington and the historic Mt. Washington hotel. Great snow, uncrowded, roomy base lodge, wonderful experience. Senior lift ticket for the mid-week day: $29. Ironically, we were staying at a condo directly across the road from another venerable New Hampshire resort. Advance sale mid-week senior ticket prices for one day ranged from $70 to $87. Three competitors in a relatively close geographical area. Two with competitive prices for seniors, one with huge price disparity. We wonder why. At press time, the resort in question’s media contact has not yet responded to our inquiries. We will let you know what we learn next week. 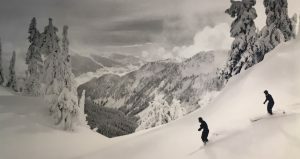 Correspondent Harriet Wallis give us a description of a scary incident that happened to her skiing companion who got buried, not in an avalanche, but by falling in deep, fresh snow on a gentle slope heading back to the lift at Brighton, UT. Unusual? Not so sure. 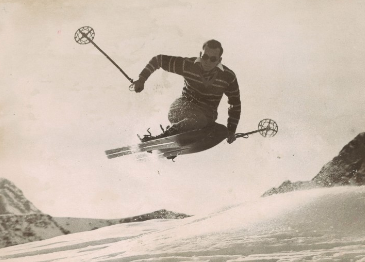 Marc Liebman continues his remembrance of ski testing back in the 70s. 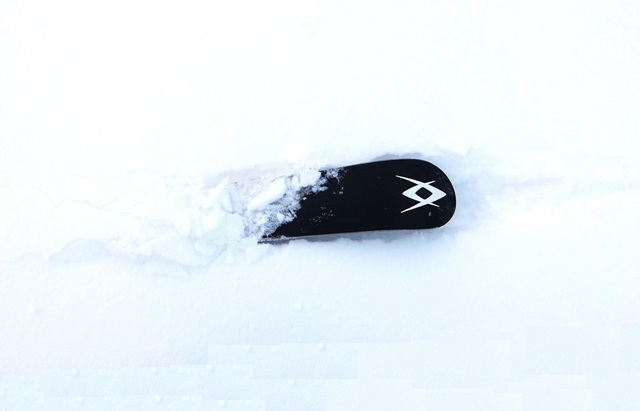 In this week’s installment, he talks about SKI magazine’s on-snow test regimen and how performance was correlated with bench test statistics. Interesting history. We have two resort reviews, one from Brian Head in Southern Utah, the other from Magic Mt., VT. They are both appealing and accessible to senior skiers for similar reasons. 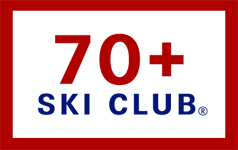 Is there a “sweet spot” for ski resorts for seniors? We could be seeing convergence of opinion. Our Mystery Glimpse this week features a fantastic photo of an Alpine wilderness. Tell us where it is and who took the picture. Last week’s Mystery was revealed as none other than Princess Elizabeth stopping off at the Mittersill Alpine Resort in 1951. Find out how she happened to visit what was then a remote outpost of Tyrolean ski culture. Finally, Don Burch serves up a memory of riding on rope tows as a youngster. We thank cartoonist and ski journalist Mike Roth for contributing an original illustration for this piece. And remember one and all, January is Learn To Ski and Snowboard Month. 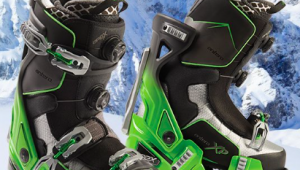 Now is the time to re-boot your interest in snow sports and get back into winter. Or bring a friend or a grandchild. Deals abound. And remember to tell your friends about SeniorsSkiing.com. That’s how we get new readers. There are more of us every day, and we aren’t going away. In N.H. Loon is the more expensive mountain but it has more trails, better snow making and better facilities than the competition. For the older folks Loon does have a very good rate for a midweek senior season pass. Cannon is definitely “old school” and is fabulous when there is snow and the weather cooperates. Their 2-1 deals on Tuesday and Thursday are a great bargain. If you are looking for really cheap then you can try Ragged Mt. which is a bit off the highway but has ridiculously low prices if you buy in advance. I love my Bretton Woods. We went there three years ago for the first time. We bought a condo on our second day! No regrets. Yeah, I discovered it a couple of years ago. Great hill for me. Love the big wide greens that wind down from the top. Avalon! Our three favorites are Water Tank, Coos Caper and Crawford Blaze. here in France’s Trois Vallees (I’m writing from Meribel) free starts at 75.